Sunday afternoon found me without a cup of tea in over twenty-four hours. Oh, the price of knowing how to properly brew tea! In the past, at the beginning of my tea love affair, I packed my tea, disposable filters, and even a small teapot. You might run into me bleary-eyed, walking through hotel hallways carrying a teapot on a search for hot-enough water and hoping it tastes better than the bathroom tap. After drinking some really lousy tea on the road, despite my fervor, I stopped this cumbersome practice. And-horror of horrors-I (said in a whisper with a backwards glance to see who might be listening…) drank coffee with my meals instead. My mother sent me to the city with the book, San Francisco in a Teacup: A Guidebook for Tea Lovers by Ulrica Hume. At this point, as far as I know, there is no other tea guidebook available, like the ones available for New York City and London. Categorized by style (Cozy vs. Traditional) and neighborhood, I spent some time mapping out the tea experiences within walking distance and set out to see what I would find. Our hotel sat on the edge of the upscale San Francisco neighborhood, Nob Hill, (and yes, it is a HILL). The majority of the taking tea possibilities close to me required four things I did not have this particular day: proper tea dress, a companion, reservations, or money. But I had the spirit of adventure, and deep respect for the places I set out to visit. 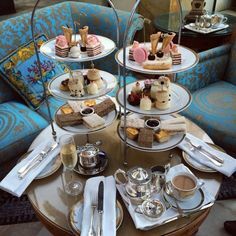 You see, throughout the years, taking tea remained popular among the cultured in America, especially at the grand hotels and department stores. As a result, not only did I explore places I would enjoy taking tea in the future, I explored San Francisco history and architecture. I started by visiting three fancy hotels listed under the “Traditional” chapter. The closest stop to my hotel was the Ritz-Carlton. Having already visited the Ritz for tea in May at Dana Point, I knew of the great care and incredible service the Ritz provides at teatime. Traditional tea is served Fridays-Sundays in the Lobby Lounge and costs between $32 and $45, depending on what you choose. Next, I visited The Stanford Court. This hotel is named after Leland Stanford, a famous Californian as a former governor, senator, and university founder. 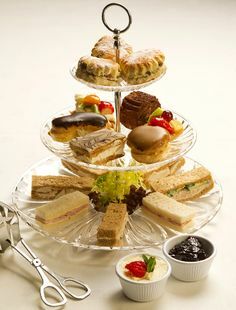 They call their formal tea “high tea”. The last famous hotel I visited was the infamous Mark Hopkins, home of “The Top of the Mark”, a nineteenth-floor restaurant at the top of Nob Hill known for it’s view and 100 different martinis. It doesn’t serve the tea meal on Sundays because of offering brunch instead (well worth the $59/person, from what I could see). But instead of indulging, I sat on a window seat overlooking the city chatting with a precocious 6-year old waiting for her parents to finish eating. The Top of the Mark states its dress-code as you exit the elevator. They will not seat you with sandals (I’m assuming this doesn’t include strappy $600 Prada heels), tank-tops, shorts, athletic hats or wear, hardly what some would call high standards. I thought it was a decent standard to remember in general, as lines these days can be a little fuzzy, and I am often asked what’s considered “acceptable”. Each of these three hotels offer special children events at the holidays related to teas. I thought of my children, even the boys. 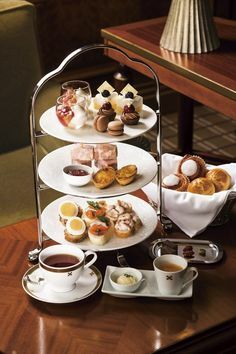 Yes, I envision a hotel tea in San Francisco, maybe coupled with a performance of the Nutcracker, as an experience I desire for them on the memory spectrum. May they know how to make mud-pies on a riverbank AND feel comfortable dressing and acting the part in big-city life with ease, as well. As I left the Mark Hopkins, a chorus of church bells beckoned me to continue. Grace Cathedral‘s last Sunday morning service just finished and I looked up to see something I’d only read about in books. Ironically, Grace Cathedral was also listed in the Tea Book because of the Peet’s Coffee and Tea located next to the gift shop of this beautiful place of worship. I spent an hour in their bookstore and briefly joined the after-service tour before scooting quickly out the door when my cellphone rang. Still without tea, I pressed on to the parts of the city a little less formal. Next, I searched out a hotel listed in the “Cozy” tea portion of my guidebook. The King George Hotel, more a boutique hotel than an upscale, formal setting meant leaving Nob Hill and heading toward Union Square. The graffiti and trash increased, but I found the King George Hotel most likely the place I would return with others who would find the formality I had just witnessed on Nob Hill a little daunting. The King George calls their tearoom the Windsor Tearoom and serve afternoon tea on Saturdays and Sundays from1-4pm. Their cost is a little more manageable with tea meals available from $16-$30 dollars. The last place I explored reminded me of a book I hope all you tea-lovers have read called, Tea at the Blue Lantern Inn: A Social History of the Tearoom Craze in America. 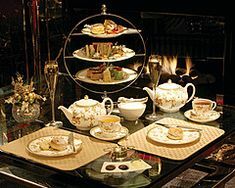 Department store teas provided women a place to socialize all day unchaperoned, not common even within the last century. Life became less formal after WWII, but the department store teas remained, even into the twenty-first century at Neiman-Marcus on Union Square in San Francisco. I don’t know which captured my awe more, the tearoom located under the Rotunda or the shoe department filled with shoes costing almost as much as my mortgage payment. My tour ended with me stumbling into Borders and ordering a Caramel Tea Latte from Seattle Coffee Works.It wasn’t until the next day, in a place called The Pasta Shop in Berkeley, did I stumble upon the tea find of the weekend. Filled to the rim with every gourmet food you could ever imagine, I rejoiced to stumble upon Mariage Freres Tea sold in BULK! At $12/4 ounces, I’m glad there’s 200 cups of tea per pound. Disappointed to find the tea stored in clear glass canisters, I purchased some of the Wedding Imperial black anyway, as it is the best caramel and chocolate-flavored black tea I’ve ever tasted. Yes, I love dessert teas. Thanks for your patience, everyone, as yesterday was my first weekday since the beginning of June without a post. And Friday’s barely counted. You were all such an encouragement! I guess I’m not the only one this has ever happened, eh? 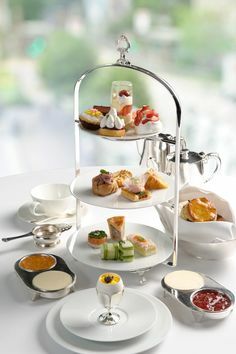 Have you every visited a hotel or department store for tea? I never drink tea in a department store Jenny, I’ prefer a hot chocolate or a moccha. Tea is something I prefer to drink at home where I can make it the way I like it. I find i can be more tolerant of coffee or chocolate than i can be about tea. Ah, what fun to read of your San Fran adventure! I have actually had tea and stayed at the King George! It was an affordable and charming place to stay, and within walking distance of so many things! I have also enjoyed the view from the Rotunda at N-M. Actually, as I think about it, these events were on the same trip. I had 2 days and visited 5 different tea places, much like you! One of my favorite San Fran tea places is the Imperial Tea Court in China Town. They have a new one I haven’t been to yet in the Ferry Building. I’m not a city girl, but I do love San Francisco! Thank you for sharing your adventure! It makes me want to head West again. What a fun trip you had! 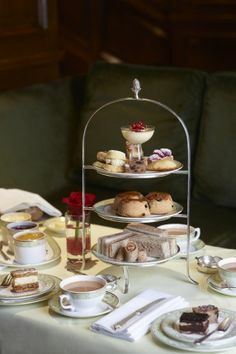 No, I’ve never had tea in a department store (or tea room, now that I think about it), but I’d like to someday, just for the experience (and review opportunity).